You’ve mastered home-brewed IPA, and have infused gin with every herb you can find. What comes next for the budding amateur mixologist? 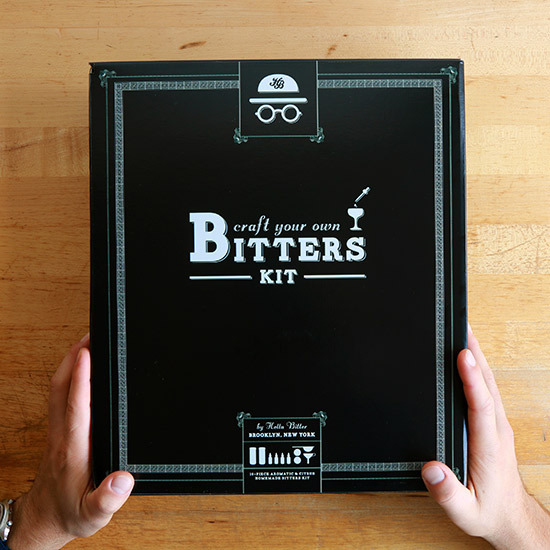 DIY bitters—and one company just created the perfect starter pack. You’ve mastered home-brewed IPA, and have infused gin with every herb you can find. What comes next for the budding amateur mixologist? DIY bitters—and one company just created the perfect starter pack. Hella Bitter, a Brooklyn-based craft bitters producer run by three friends, is kickstarting their Craft Your Own Bitters Kit, which comes with four dropper bottles, a funnel, a fine mesh strainer, two infusion jars, a citrus spice blend and an aromatic spice blend. Essentially, it’s everything you need to learn how to make your own bitters. The project is currently at $17,034 of its $50,000 goal, with 24 days to go. For a limited time, a $45 donation gets you a kit—it will go up to $50 soon. Higher donations come with extra incentives like shirts, hats and ready-made bitters. Learn more about the project on Hella Bitter’s Kickstarter page.